She is between shows when we catch up, getting ready to tour her fifth solo album What a Boost, due to be released on Fri 5 April. The album takes its title from the magic of catching a street lamp turn on. “What a boost when you see it!” she enthuses, this is captured on video for her first single Symmetrical. The title features as a lyric on the eighth track Trouble, repeated over and over like a self-affirmation, willing things to get better. Rozi’s style is variously described as folk-rock and art-pop, and she has been compared vocally to Bjork. The haunting harmonies are reminiscent of early Stina Nordenstam and there’s a jazzy sound to the album with its repetitive guitar patterns. She has cited Ethiopian jazz musician Hailu Mergia, as “a heavy influence” admiring the drumbeats and weird rhythms. relationship where she was willing there to be problems. 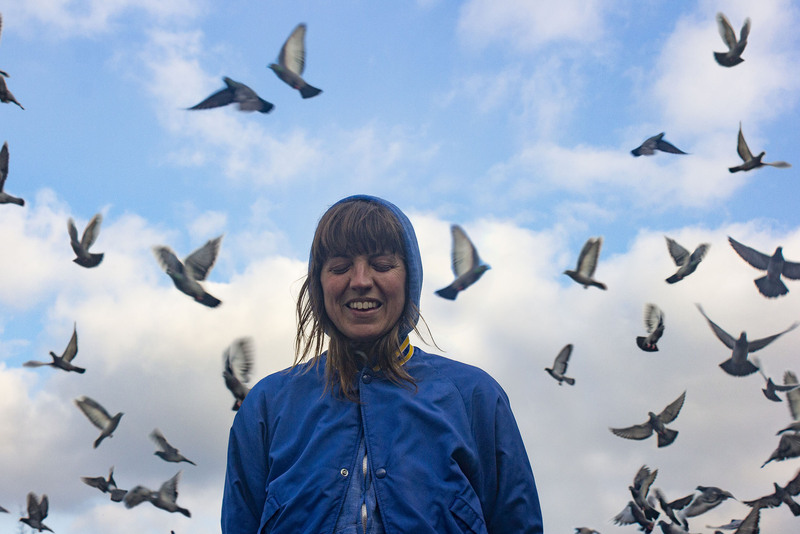 Rozi Plain launches her What a Boost album at Resident Music on Fri 5 April, then plays The Hope & Ruin on Weds 24 April.